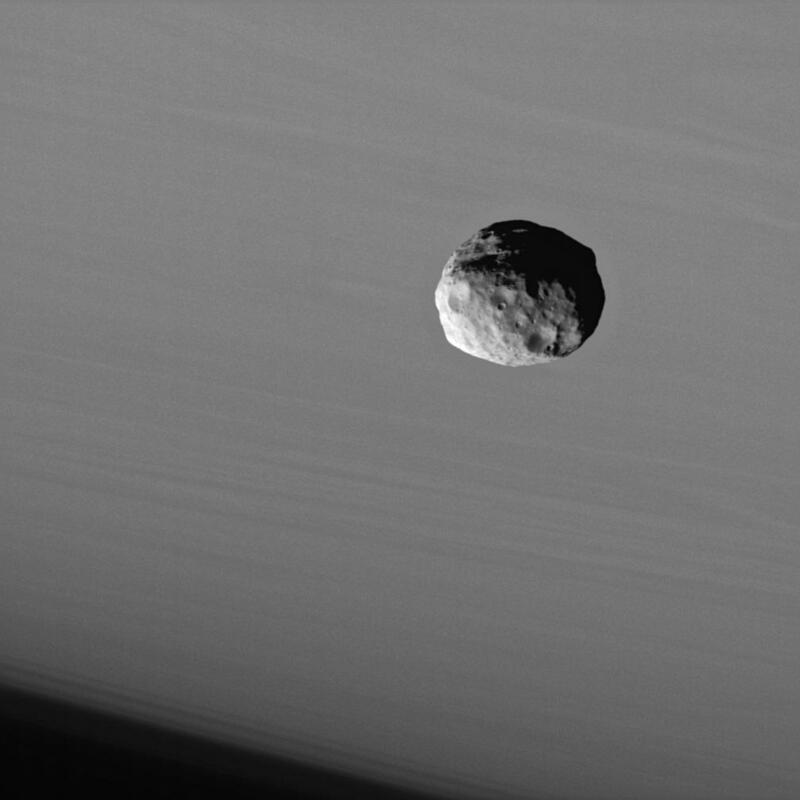 A series of images from Cassini shows the 110-mile-wide Janus passing through shadows cast by Saturn’s rings. 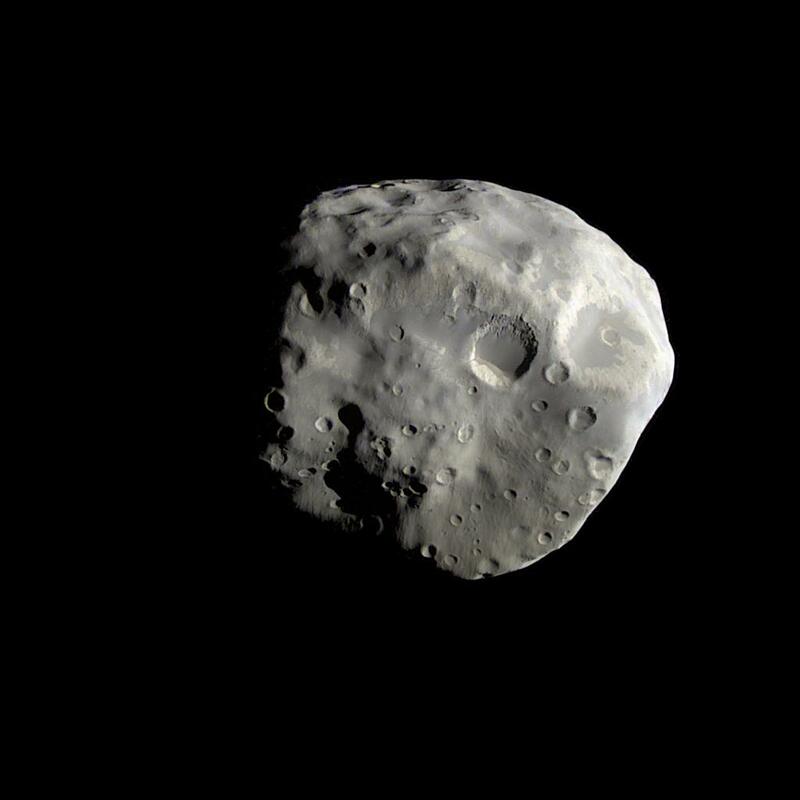 Janus shares its orbit within the ring system with sister moon Epimetheus. Both are small, rocky worlds…irregularly-shaped clusters of rubble pockmarked by ancient craters and displaying lots of scrapes and gouges, evidence of glancing blows by larger bodies. Janus and Epimetheus orbit Saturn in the same track, occasionally passing each other and switching speeds and positions as they do – Janus becoming faster and higher one time, slower and lower the next – but never get closer to each other than about 6,000 miles. It takes Janus 17 hours to make a full orbit around Saturn. Read more about it here. UPDATE: Here’s a closer crop version with the “stars” removed…since I’ve learned that those are likely just hot pixels or cosmic ray noise. Image credits: NASA/JPL/Space Science Institute. Animation by Jason Major. Wow, this is cool and I totally missed it on the raws page. Great work on the animation, Jay! Usually the images of Janus are taken from quite a distance away, but these were nice and close. I thought they were a nice change, and then I noticed the shadow action going on. Pretty cool stuff!